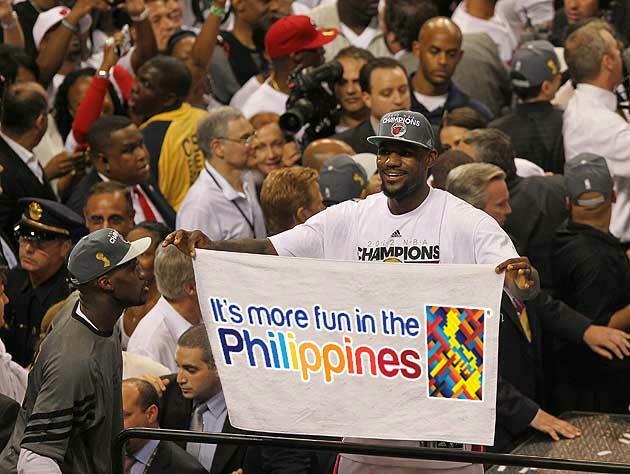 James, who recently one back-to-back championships with the Miami Heat, is visiting the Philippines for the first time. Free tickets will be given away starting July 17th at 12noon at the Nike Park in Bonifacio Global City. Only two tickets will be given per person on a first-come, first-served basis. Derrick Rose of the Chicago Bulls, Tony Parker of the San Antonio Spurs, and Eric Gordon of the New Orleans Pelicans (Hornets) will also be coming to Manila for an event with Adidas. They are scheduled to make an appearance on September 2nd.